2. Select the "All Access" tab near the bottom of the page. 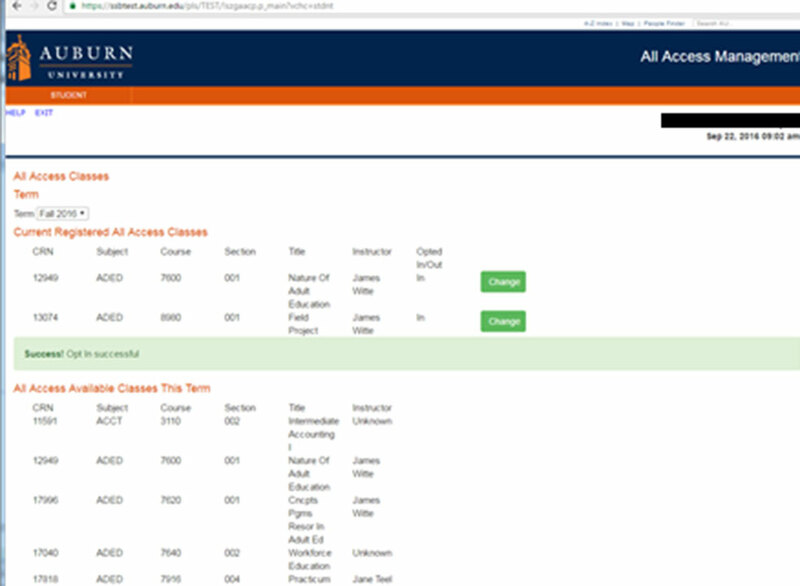 3.After selecting the All Access tab, select the current term. 4. Once the current term is selected, All Access courses will populate with options to "change" at the far right. 5. 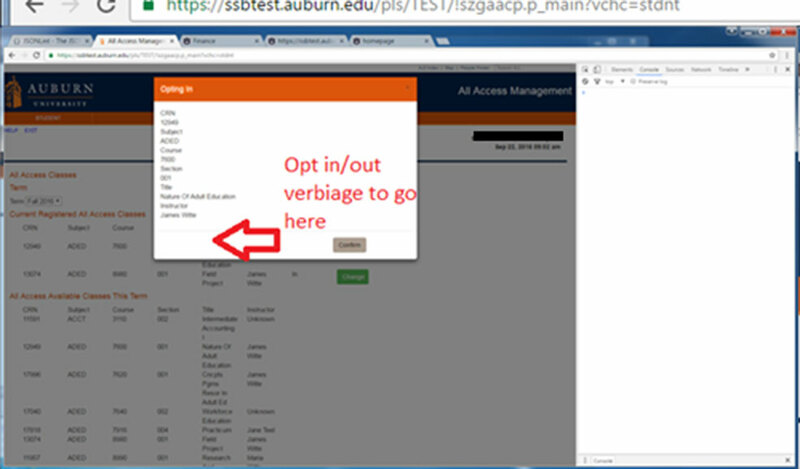 Students can click the change button to opt in or out of the All Access material. 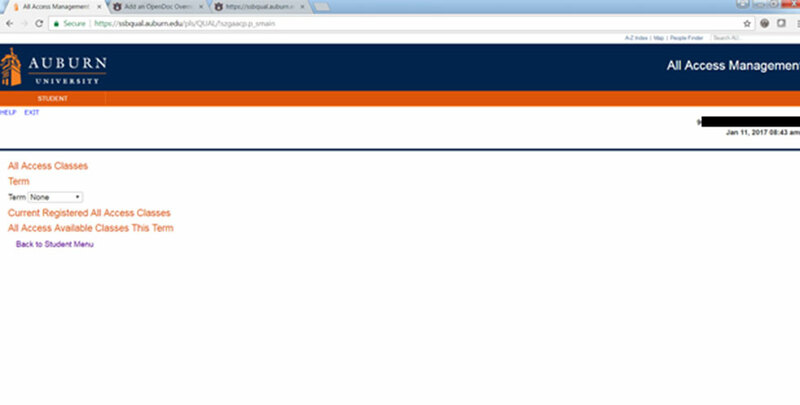 Note: This does not change your registration in the class, just your purchase option for the course materials. 6. You will be prompted to provide a reason for opting out of the class. 7. If completed correctly, there will be a green "success" near the middle of the page. You may opt in or out at any time before the fifteenth class day. After that day, charges are sent to the Bursar to be applied to your e-bill. We may not be able to reverse the charge after that date. 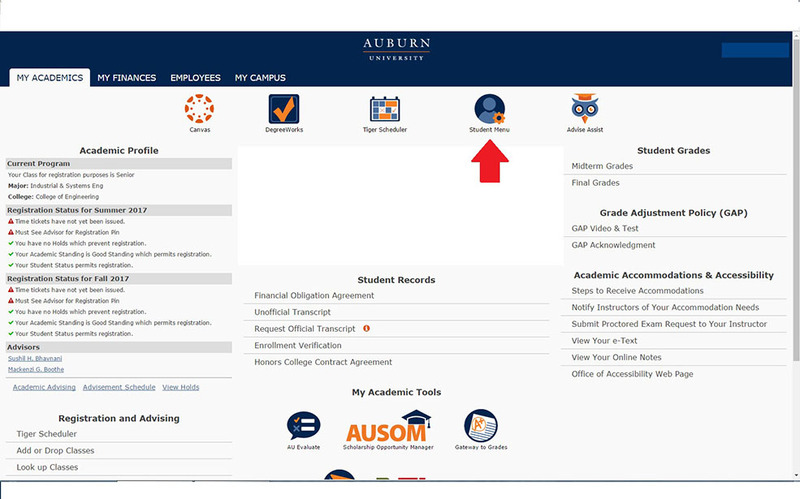 We are able to apply All Access charges for course materials to scholarships that are normally handled through our scholarship counter in the AU Bookstore. We will also apply charges for student athletes to the Athletic Department if the students scholarship covers course materials.